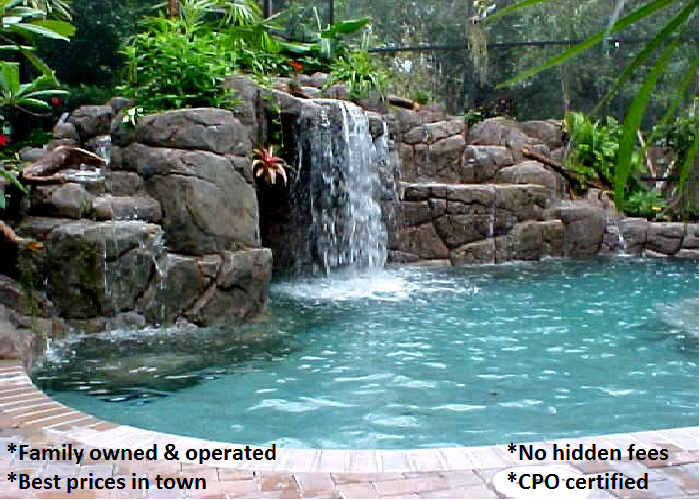 Our company is a family-owned and operated swimming pool service that will provide you with a CPO-Certified staff that works endlessly so you don't have to! No job is too big or too small and we keep our prices in a range that is affordable to your family. We pride ourselves on excellent customer service and quality! -Serving Auburndale, Winter Haven, Polk City, Lakeland, Davenport, Haines City, Lake Alfred, and other surrounding areas in Polk County. We are licensed and insured in the City of Auburndale and all of Polk County! Cleaning your pool is a must to ensure your comfort and protect your equipment. Cleaning your pool is quite simple if you have the right tools and if the pool is not surrounded by trees or bushes that keep filling it with leaves, that is. Keep your pool maintained. 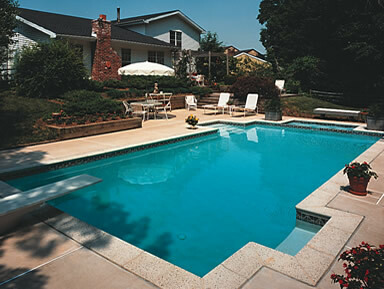 A clean pool is also a function of a working filtration system and proper pH levels. Use sanitizer to help fight bacteria, and shock the pool on a regular basis to help keep it clean and crystal-clear. At first glance, Auburndale appears to be a quiet city with "hometown quality." A lingering look reveals a firmly established, steadily growing community with a population of 14,033 residents. Teamwork abounds in every aspect - business and industry, education, sports, and recreation. The vital element in our success is the spirit of community, which is one of Auburndale's main attractions. The City of Auburndale is a proud member of the Ridge League of Cities and the Florida League of Cities. Also check out Central Florida's Polk County Sports Marketing who proudly supports all of Polk County Sports and helps Auburndale continue to grow. We do alot of business in the City of Lakeland and would like to also support the Lakeland Chamber of Commerce.